The Port of Ramsgate has made losses of £20million since 2010, according to Thanet council’s statement of accounts for each financial year from 2010/11 to 2017/18. Last year Thanet council said the figures included costs which are shared across other areas of the council for the running of its services, rather than being directly incurred in running the port. This year the port recorded a loss of £1.8million. Expenditure amounted to £2.8 million and income was £1million. The continuing losses come as the port remains dormant other than the occasional GEFCO delivery of cars when Sheppey is over capacity. That deal ended in January 2017. No new formal contract with TDC has been signed. Despite continued efforts and talks to attract a ferry service to the port there has been no cross-Channel operation since the collapse of TransEuropa in 2013. Reported talks in 2015 with “a credible potential RoRo operator” were fruitless and a service between Ostend and Ramsgate to be operated by Seaborne Freight company and mooted to be starting in March this year is yet to materialise. 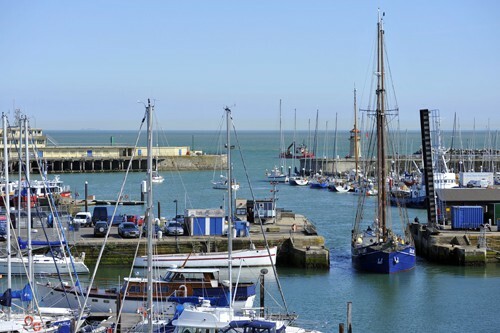 In October last year, during the run up to the Ostend elections, town mayor Johan Vande Lanotte announced a ‘basic agreement’ had been made for the ferry line between Ostend and Ramsgate. In a social media statement Mr Vande Lanotte said: “The Board of Management of the Port of Ostend has reached a basic agreement with Seaborne freight for the launch of a new RoRo line Oostende- Ramsgate, which is due to start on March 1, 2018. 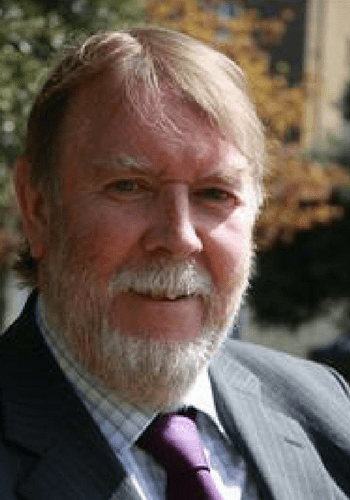 In April Thanet council leader Bob Bayford confirmed commercial talks had been taking place between the authority, Seaborne and Ostend representatives. Belgian press reported the expected start date for the operation had been set back to ‘early May 2018’ but there appears to have been no progress to date. Cllr Bayford said work on ferry operations is the priority for Ramsgate Port. He said: “The right ferry operation under the right contract will start to plug the money pit that is currently Ramsgate Port. In January a proposal to use land at Ramsgate Port for a ‘temporary’ truck and coach park was approved. The planning application, made by Thanet council’s harbour master Rob Brown, was for the fenced in area, previously used to park HGV’s which were either waiting to be shipped from or had arrived into Ramsgate by ferry, to become a 90-space truck park for a period of two years. 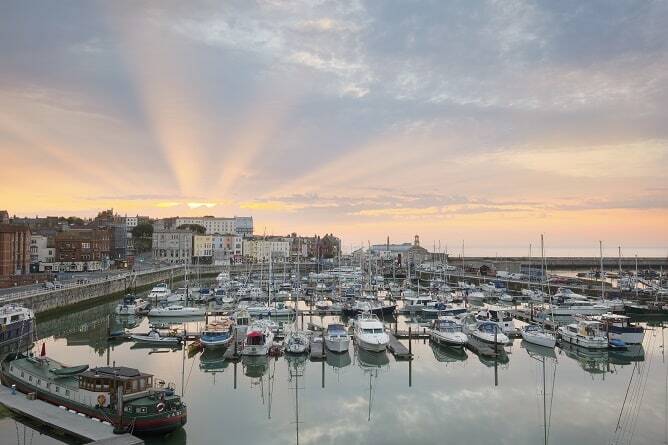 In contrast Ramsgate harbour made a small profit of £558,000 for 2016-17 and £229,000 for 2017/18 through mooring fees and businesses at the Arches. Community backing has been expressed for a marina village development at Ramsgate Port and harbour. It has been suggested boat-building and boat-repair. sailing schools water-sports, retail, residential and leisure facilities could be of economic benefit. Costs for the coming year will include £369,000 for general repairs and maintenance and £375,000 for specific capital schemes (which span over 2018-2022) for the port. The costs include work on the harbour sluice gates and water supply upgrade; Replacement of Lead Lights at the port; fuel barge access ramp; Berth One refurbishment and pontoon improvements. 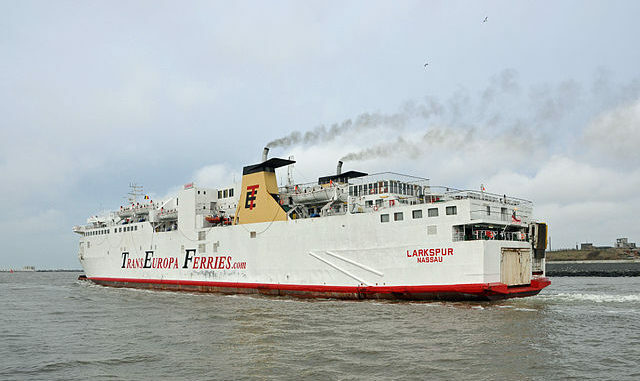 Euroferries announced it would be operating a 102m trimaran high speed service from Ramsgate by 2013. 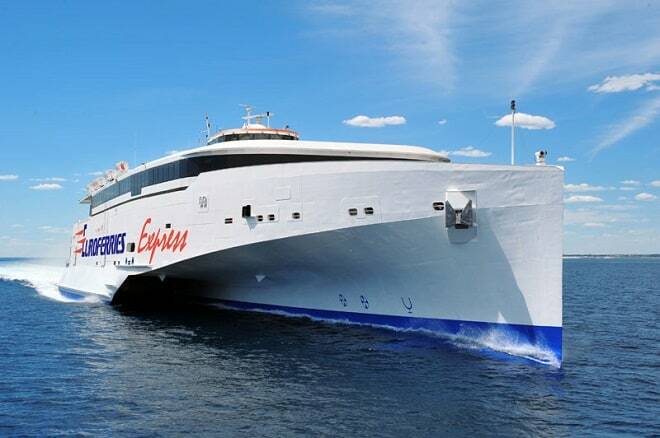 Euroferries again announced it would be launching a Ramsgate to Boulogne service. It had also approached Thanet District Council back in 2009. No service emerged. Thanet council advised that talks were under-way with potential ferry operators with names touted including DFDS. His plans were for an operator to carry up to 500,000 passengers by its second year of operation at Ramsgate. 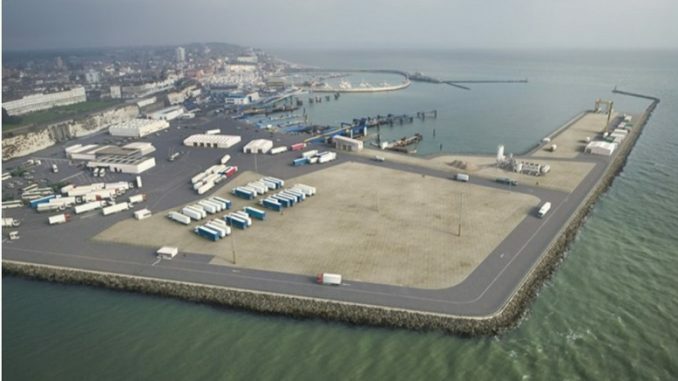 It was revealed that Thanet council had failed in a bid to get Government funding of £4.17million, to be matched with £2million from the authority, to carry out plans which could double lorry capacity at the port to one million vehicles a year. The first phase was to improve the port’s handling capacity, particularly for unaccompanied freight vehicles, with a double deck ro-ro berth. The proposals reappeared in a report compiled by the East Kent Regeneration Board (EKRB) last August. The shipping expert taken on by Thanet council said the authority could buy its own ferry to run cross-Channel services from Ramsgate. 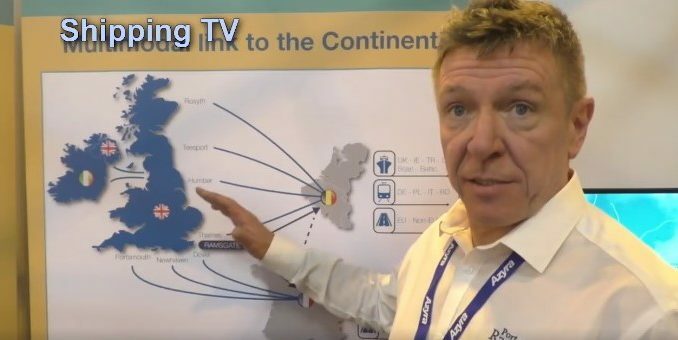 Robert Hardy, of Paradox Consulting, was one of the Ramsgate representatives who attended the industry Multimodal expo in Birmingham. Beach schools, sea-themed playgrounds, a fish market and water sports adventure park were just some of the proposals for Ramsgate revealed at a public meeting. 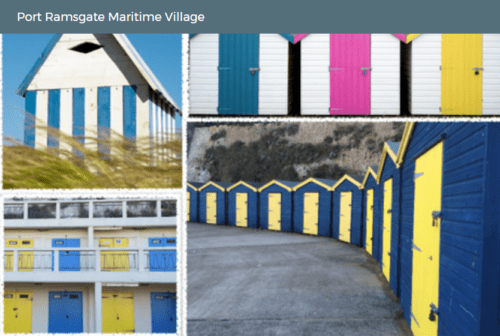 The Port Ramsgate Maritime Village proposals were earmarked to be a part of Thanet council’s Local Plan – a blueprint for housing, business and infrastructure up to 2031 for the isle. The Ramsgate maritime report was the work of community group Wish You Were Here with the meeting headed by Councillor Bev Martin and resident Helene Whitehall. A maritime plan may still be on the cards – but possibly not this one. 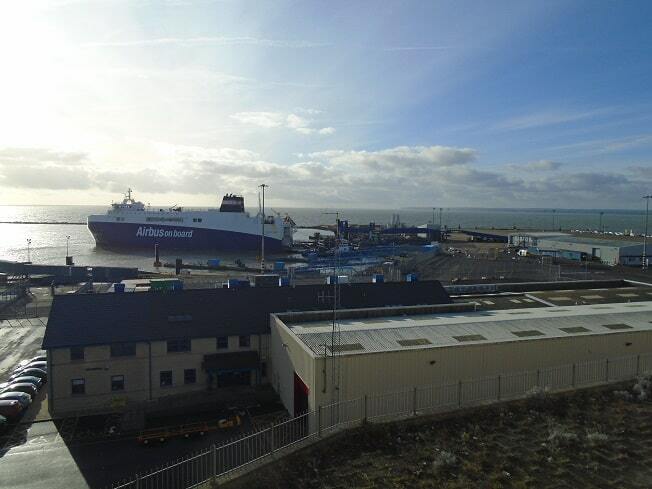 A tweet emerged ‘revealing’ Thanet council discussions with a Polish ferry company about bringing services to Ramsgate Port. The council’s consultant Robert Hardy, who was taken on in April, was believed to have been in talks with Polferries. The company is the largest Polish ferry operator. The start date for the Seaborne Freight company route between Ostend and Ramsgate came and went without a vessel in sight. Thanet council said talks are taking place over the proposal. Things move on. Ferries using the port in the past may well have not been able to compete with Dover-to-Calais or Dunkirk, and ,so, failed. But Dover, and the approach roads, will soon become slow and difficult, if not at total standstill at times due to the “Brexit dividend” of extra paperwork and bureaucracy required as lorries pass through. Government of whatever Party will have to think “outside the box” to find a solution to the gridlock into Dover. One solution would be to oblige certain freight movements to be made through ports other than Dover eg Ramsgate and Folkestone. There might be a new boost for Ostend and Boulogne. Of course, this will be more expensive and, in some cases, also time-consuming, but a decision cannot be “kicked into the long grass” like a lot of impossible “Brexit” tangles like the Irish border. So I suggest we hold onto the idea of Ramsgate as a future major ferry port because, desirable or not, it may be forced on us by events. Otherwise, it’s permanent “Operation Stack”. They’ve been trying to get a ferry operator for 8 years. During which time £20+million has been spent. That’s money that could have gone on street cleaning, building restoration, extra police, you name it. It’s not as though Thanet has a money surplus. Instead the dinosaurs at a Thanet persist in trying to pretend that Ramsgate has a great industrial future. Move on. Look to other once great industrial centres like Sheffield. The city is thriving, but not because it kept trying to recreate its old industrial past. Wake up TDC. Wake up RTC. Move forward, stop looking backwards.